I never saw a more strange man than him. He lives like a hermit among his Tibetan and other works, in the house of the Asiatic Society, which he seldom leaves. This post corrects a terrible injustice I committed in my book on Bamiyan, most of which is nevertheless fair and reasoned and even potentially worth a read. On p. 143 I claimed that the “first Europeans to set eyes upon Bamiyan were William Moorcroft and his companions George Trebeck and George Guthrie in August 1824.” I was wrong, as was gently pointed out to me by Edmund Melzl, who knows more about Bamiyan’s history than anyone. In actual fact Bamiyan had received a visit more than two years before Moorcroft from another European, a Hungarian scholar from Transylvania named Alexander Csoma de Kőrös. I wasn’t the first to overlook Csoma; in fact you could say he was cursed to being overlooked. In March 1822, for example, British agents reporting from Maharajah Ranjit Singh’s capital at Lahore in the Punjab recorded the arrival of three European travellers, two feringhis, the Napoleonic veterans Jean-François Allard and Jean-Baptiste Ventura, looking for employment with the Maharajah’s army, and a ghora, Alexander Csoma. The choice of words is significant, feringhi suggesting status and nobility, ghora a dismissive term for a common-or-garden white man without any distinguishing features. In a way Csoma asked to be ignored: a naturally reticent man, his “principal trait of character was his regrettable diffidence,” according to his biographer Theodore Duka, “…and his own too modest estimate of himself.” “This has often served as justification for disparaging his unique accomplishments,” Duka adds. He dressed scruffily (“a suit of blue clothes, which he always wore, and in which he died,” according to one witness), and in later life consistently refused any of many offers to supplement his very limited finances. His diet was mainly rice and tea mixed with butter and salt in Tibetan fashion, and his living habits, as the opening quotation indicates, were by his own choice basic in the extreme. But if Csoma was a peculiar man, it arguably took just that kind of man to achieve what he did achieve. At any rate, Csoma became determined to apply his academic training to the national interests of Hungary, specifically by pinpointing the Asian origin of the Magyars. “The most ancient homeland of our ancestors,” he declared, lay in “Greater or Little Bokharia,” in other words Bukhara and its environs, north of Afghanistan, and the Tarim Basin to the East, now in the Xinjiang region of China. In November 1819, despite tempting employment opportunities at home, the thirty-five-year-old Csoma set out to test his theory. There is yet in ancient Bactria, at Bamian, on the road between Kabool and Balk, a large colossal statue, with two others of smaller size at a certain distance from the first, hewn in the mountain-rock. It is very probable this was a representation of Buddha, or Shakya, with his disciples represented in painting on both sides of the wall. The painting is in the same style as is usual amongst Tibetans or amongst the Christians of the Greek Church, to represent saints, with the radiant or solar circle round the head. Csoma was the first of many Europeans to visit Bamiyan in the first half of the nineteenth century, when it was in the process of becoming one of the most famous places on earth, but, odd as it may seem, very few of them recognised the statues as images of the Buddha. But on the road back to Lahore, on July 16, 1822, he had an encounter which changed everything. William Moorcroft is one of the most intriguing of the early European explorers of Central Asia, theoretically engaged in a search for fresh bloodstock for the East India Company’s horse stud in Calcutta, but in his own mind at the cutting edge of British efforts to counter Russian designs on Britain’s possessions in India. He persuaded Csoma (in Latin, since one language Csoma didn’t have at this stage was English) to return with him to Leh, the capital of Ladakh, and with Moorcroft’s encouragement Csoma became fascinated by the Tibetan language and culture he encountered there. To cut a very long story short, after seven years of intense study at a series of Buddhist monasteries in Zanskar and Kinnaur, under the guidance of a Tibetan Lama, Sangye Puntsog, Csoma produced a dictionary and grammar of Tibetan, eventually published in Calcutta in 1834. These publications are considered to be the foundational texts of the academic discipline of Tibetology. 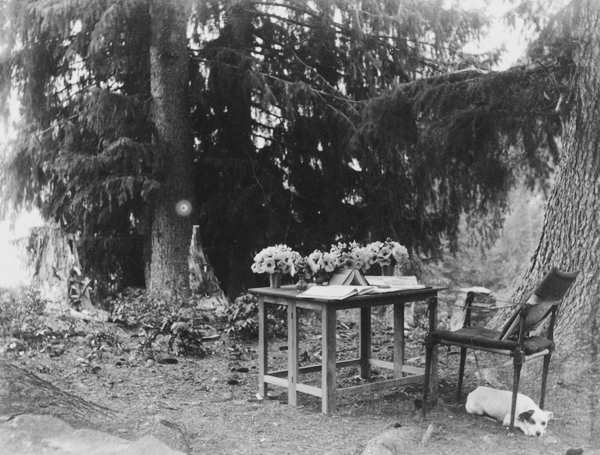 An impression of Csoma’s working conditions in monasteries like the striking Phugtal Gompa in this photo comes from Dr James Gerard, who encountered and befriended Csoma whilst travelling in the Himalaya introducing inoculation against smallpox and indulging his wide-ranging scientific interests. Gerard would later travel with Alexander Burnes to Bokhara, via Bamiyan. Here in the Himalaya he describes finding fossil shells at high altitude, and a deodar tree “29 1/2 feet in girth”, but Alexander Csoma was “far from the least remarkable of the many objects which have passed before me in this journey”, “like one of the sages of antiquity, living in the most frugal manner, and taking no interest in any object around him, except his literary avocations.” During his first period of research, Gerard records, “[Csoma], the Lama, and an attendant, were circumscribed in an apartment nine feet square for three or four months; they durst not stir out, the ground being covered with snow, and the temperature below the zero of the scale. There he sat, enveloped in a sheep-skin cloak, with his arms folded, and in this situation he read from morning till evening without fire, or light after dusk, the ground to sleep upon, and the bare walls of the building for protection against the rigours of the climate.” Later, as the librarian of the Asiatic Society of Bengal in Calcutta, Csoma adopted a lifestyle not much less reclusive. Csoma had his motivations for his strange journey across Asia, as we have seen (and they are well described in this excellent short biography). Extending the boundaries of the British Empire wasn’t one of them. But there’s no doubt that his patron Moorcroft saw in the study of Tibetan something of political value. Moorcroft was considered a hawk and a maverick by the British authorities, and they kept him at arm’s length, but his perception of the political value of the study of Tibetan was mainstream enough: “This will not only promote the commercial and political prosperity of Great Britain and her Indian possessions,” we hear elsewhere, “but may effect the still more important end of teaching to yet semi-barbarous tribes the advantages of industry and civilisation.” It was an issue Csoma was aware of, and in the preface to his dictionary he insists that “he had not been sent [to Zanskar] by any Government to gather political information.” But there were reasons nevertheless for the British authorities’ enthusiastic reception of his project, and for the resources they provided to ensure its publication. His best and real monument. What always intrigues me about these European travellers in Central Asia is how they cope with the strangeness of the places they find themselves; how they convince themselves they have a right to be there, I suppose. A lot of Europeans saw it as the scene of the exploits of a great European hero, Alexander the Great, and made it theirs that way. For Csoma, “Bokharia” was the original home of his people, a place where he would be able to say, “At last I am among Hungarians.” There may be a hint of this Hungarian yearning for the East in Aurel Stein’s sense of a home-from-home in the barren borderlands of China. How often, looking down from my favourite Alpine camp in Kashmir into the verdant Sind Valley, some 5,000 feet below me, have I thought of the poor Hungarian wandering as he passed here in 1822, and again a year later, on his way to Leh, the chief place of Western Tibet! That’s more like it. Csoma didn’t ask for sympathy. He was pretty anti-social, he was more than slightly odd; but he founded a discipline. Fascinating. It’s so interesting great to have these “unknown wanderers” retrieved and put in context. What a time and place that must have been. Loved the Silk Road map! Think I shd get a Land Rover Defender before they stop making them and head off before it’s too late…..
Ladakh is quite a tourist destination and Zanskar isn’t out of bounds either. You can go any time you want! Fascinating indeed. Reading this I couldn’t help wondering if there might have been some sort of link between Csoma’s ideas on Hungarian racial homelands and the later racial origins thinking connected to the 1938 Ernst Schafer expedition to Tibet. I suspect a direct connection would be hard to find, but still it’s an intriguing thought perhaps? I’d heard about this, but never seen a pic … Looks like a chubby chocolate Father Christmas.